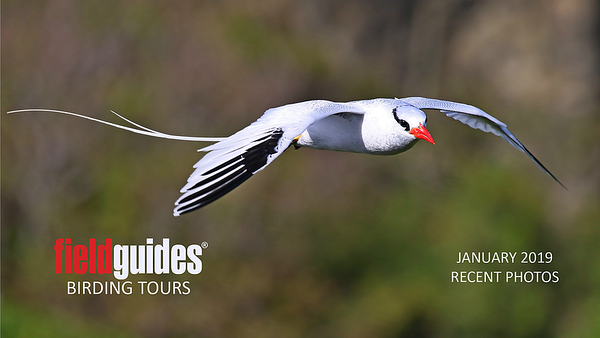 This splendid, soaring Red-billed Tropicbird by participant Ken Trease from our recent Trinidad & Tobago tour leads us into our January Recent Photos Gallery. We're showcasing a number of holiday tours this month, including two at Rancho Naturalista in Costa Rica, Panama's Canopy Camp, Panama's Canopy Lodge, Guyana, Ecuador's Wildsumaco Lodge, Oaxaca, Arizona Winter Specialties, and a few additional images from Vietnam. 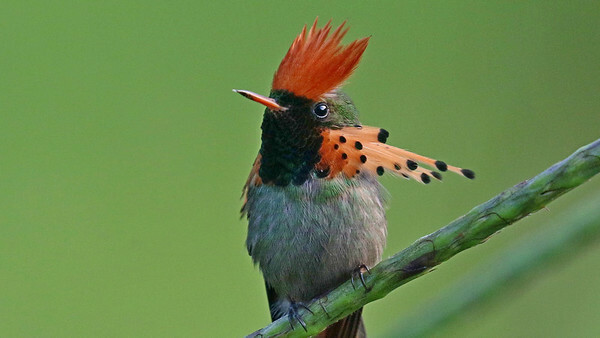 Tufted Coquette is one of the signature species on our Trinidad & Tobago tour. Participant Ken Trease shared this fantastic portrait of a male. 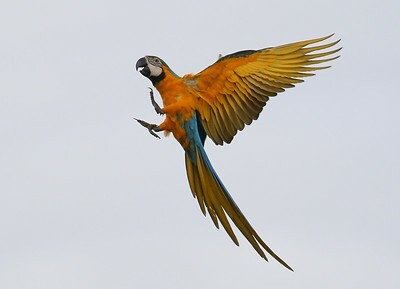 Participant Ken Trease also shared this dramatic capture of a brilliant Blue-and-yellow Macaw either air-walking or coming in for a landing! 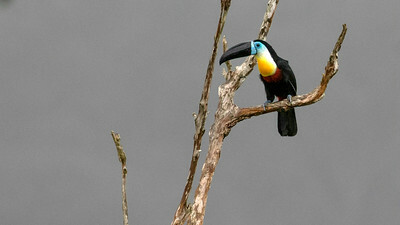 We enjoyed a marvelous study of this colorful Channel-billed Toucan. Photo by guide Doug Gochfeld. 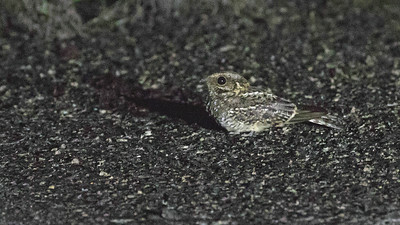 One of the highlights from our evening outing was this cooperative White-tailed Nightjar. Photo by guide Doug Gochfeld. 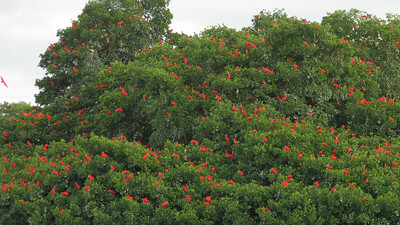 Witnessing thousands of Scarlet Ibis return to their evening roost in Caroni Swamp is the grand finale for the Trinidad portion of the tour. Photo by participant Miles Paul. 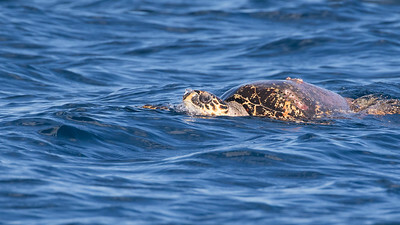 Our short boat ride out to Little Tobago Island was punctuated by a unforgettable encounter with a Hawksbill Sea Turtle. Photo by guide Doug Gochfeld. 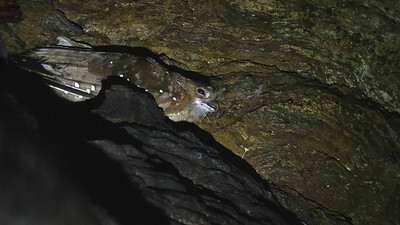 A visit to Dunston Cave to see the world's only nocturnal frugivorous species, Oilbird, is a must while on Trinidad. Photo by guide Doug Gochfeld. 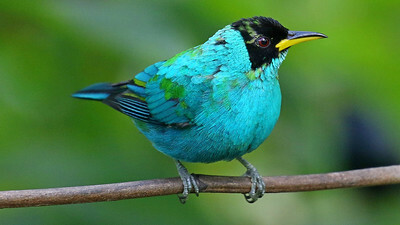 This male Green Honeycreeper's molt into adult plumage appears to be almost complete. Photo by participant Ken Trease. 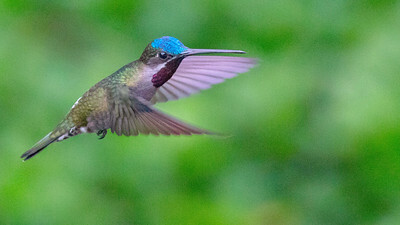 Guide Doug Gochfeld caught the light just right to showcase the gorgeous, iridescent crown of this male Long-billed Starthroat. Getting an unobstructed view of a Gray-throated Leaftosser is hard enough, so guide Doug Gochfeld was tickled to snap this image while we all admired the target through this clear window. 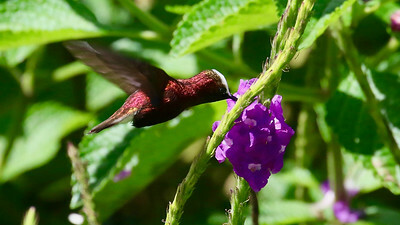 Switching gears, next up are photographs from two departures of our Holiday Costa Rica: Rancho Naturalista tour. 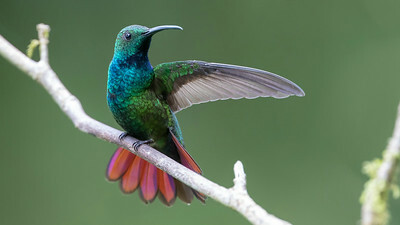 Guide Cory Gregory contributed this amazing image of a male Green-breasted Mango. 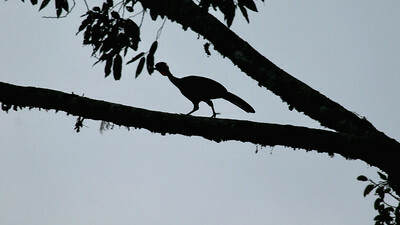 The crown gives it away...participant Maureen Phair captured this beautiful silhouette of the arboreal Crested Guan. 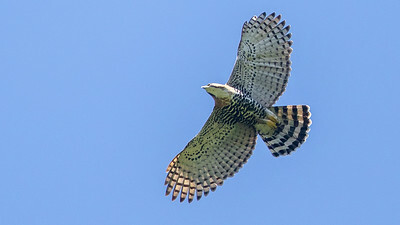 Guide and group were jubilant when this beautifully patterned Ornate Hawk-Eagle soared directly overhead. Photo by guide Cory Gregory. 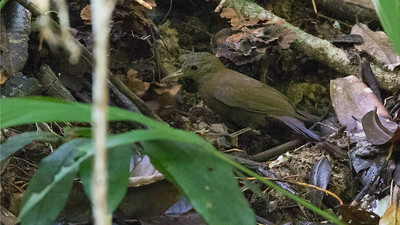 Seeing a male Snowcap this well is one of the grand prizes of birding in Central America. Photo by participant Maureen Phair. 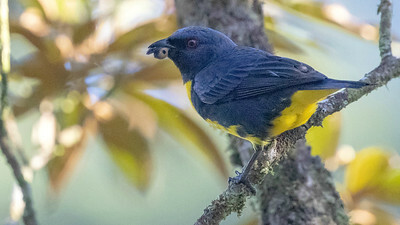 Blue-and-gold Tanager is restricted to a narrow elevational band on the Caribbean slope of Central America. Photo by guide Cory Gregory. 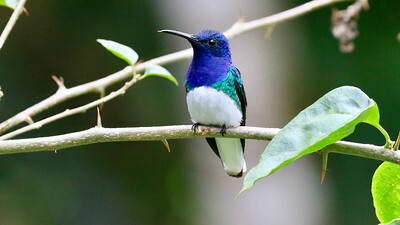 The unmistakable male White-necked Jacobin can be a dominant presence at nectar feeders. Photo by participant Maureen Phair. 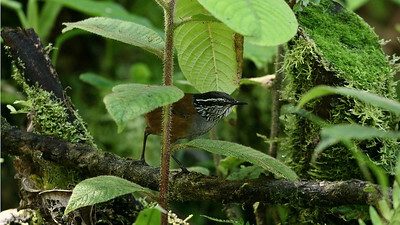 Gray-breasted Wood-Wren is easy to hear but tough to see in the dense vegetation it prefers, so we tip our hat to participant Maureen Phair for capturing this fine image. 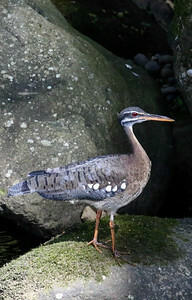 We admired this Sunbittern in all its glory in a classic forested stream setting. Photo by participant Maureen Phair. 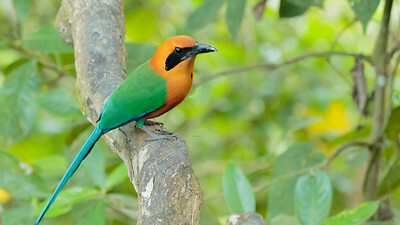 Images from the second departure of Holiday Costa Rica begin with this smashing Rufous Motmot. Photo by participant Janice White. Raised wings reveal the lemony remiges (and wing spurs!) 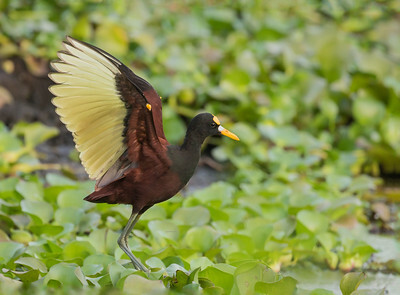 of a Northern Jacana. Photo by participant Janice White. 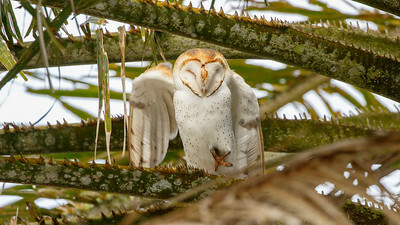 This lovely Barn Owl was a good find among the spiky palm fronds. Photo by participant Janice White. 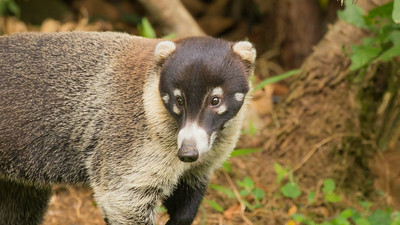 An adorable White-nosed Coati was a regular visitor to the fruit feeders. Photo by participant Janice White. 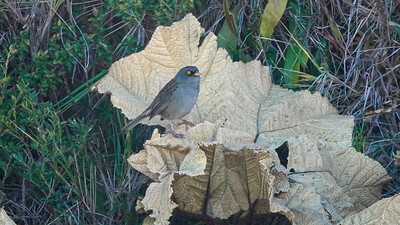 Volcano Junco can only be found on mountaintops and is nearly endemic to Costa Rica, just reaching into westernmost Panama. Photo by participant Rick Woodruff. 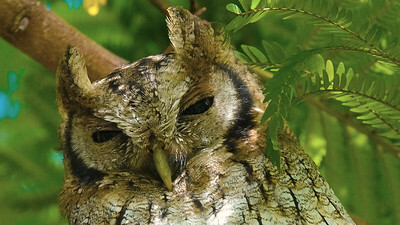 We found this roosting Tropical Screech-Owl to be extremely accommodating. Photo by participant Rick Woodruff. 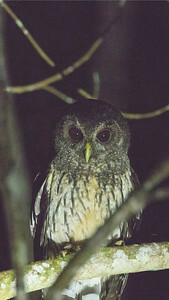 This curious Mottled Owl thankfully held its perch long enough for us all to enjoy splendid views. Photo by participant Janice White. 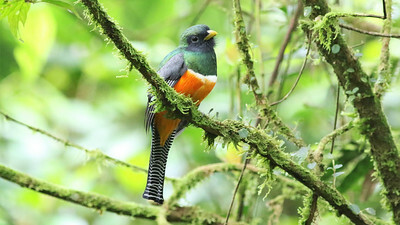 This brilliant Orange-bellied Trogon kicks off the next set of images from our Panama's Canopy Lodge tour. Photo by participant Robert McNab. 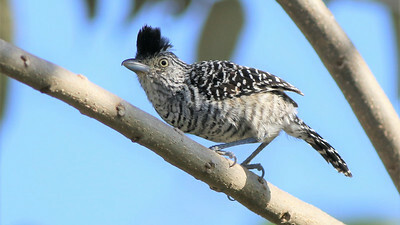 The distinctive song of the widespread Barred Antshrike can be heard in the background of many audio recordings from the Neotropics. Photo by participant Robert McNab. 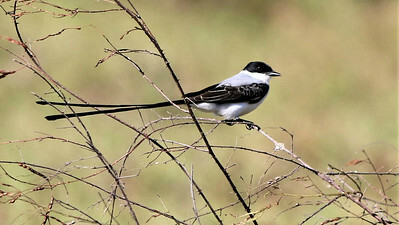 An elegant Fork-tailed Flycatcher clings to a tiny perch. Photo by participant Robert McNab.